A Russian inventor, Tatarenko Vladimir Nikolaevich has proposed the manufacture of a plane that has detachable plane cabin to allow passengers land safely in the event of a mid-air emergency. 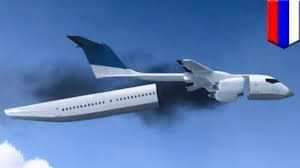 The patent #88319(19) UA and #144783 RU became necessary probably after one of the worst disasters which occurred on March 10 when an Ethiopia airline enroute to Nairobi in Kenya crashed leaving all 149 people on board DEAD. The new planes promises to survival level in case of emergency of up to 75%.